On his brand-new sophomore release, Fusiolicious, Turkish Cypriot bassist Oytun Ersan has an all-star band on hand to present seven cooking original tunes! The music is expertly executed on an intriguing blend of electric and acoustic instruments, featuring giants of jazz fusion, including drummer Dave Weckl, saxophonist Eric Marienthal, keyboardists Gary Husband and Gerry Etkins, guitarists Brett Garsed, Okan Ersan, Dean Brown and Mike Miller and violinist Karen Briggs. Click here for Physical CDs! 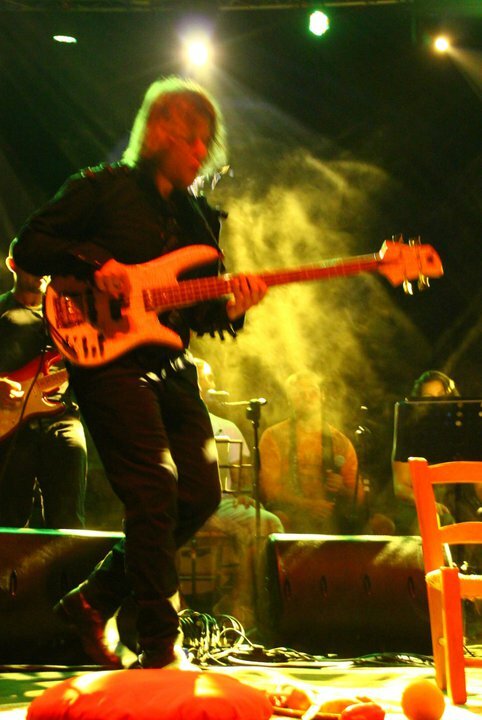 Oytun Ersan - best known for his soulful grooves, technique and melodic Jazz Fusion compositions - is a Turkish Cypriot bassist, composer, recording artist and a member of the Recording Academy. He holds a degree in Music and a Masters Degree in Special Education. 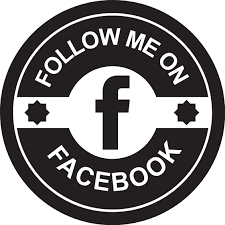 At the early age of 15, Oytun joined the International Nicosia Municipality Orchestra as a saxophone and later as a bass player where he is still working for the last 20+ years. His passion for music lead Oytun to attended an Instrumental Conducting Course Masterclass run by the world famous conductor Prof. Peter Start from the Royal College of Music in July 2014. 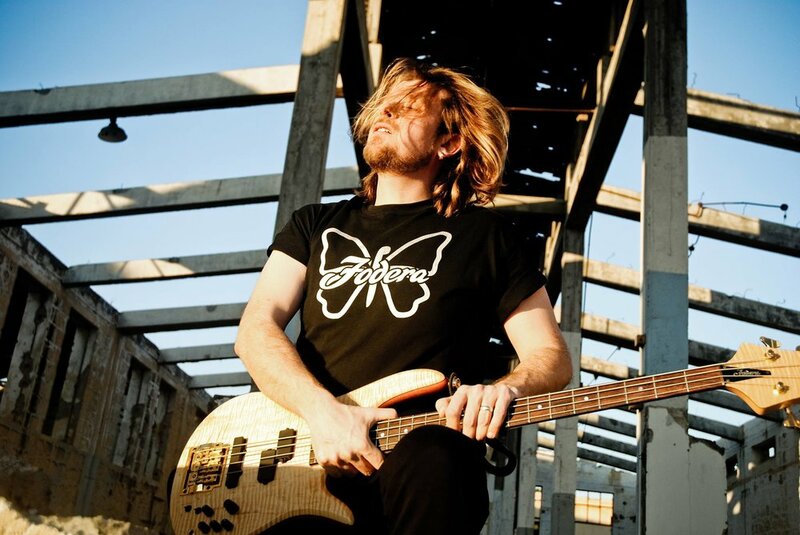 Oytun is currently referred to as ‘‘the rising star of the bass community’’ and he is among the featured artists of Fodera Guitars and an official artist endorser of some top profile companies such as Aguilar, GruvGear and Elixir Strings. 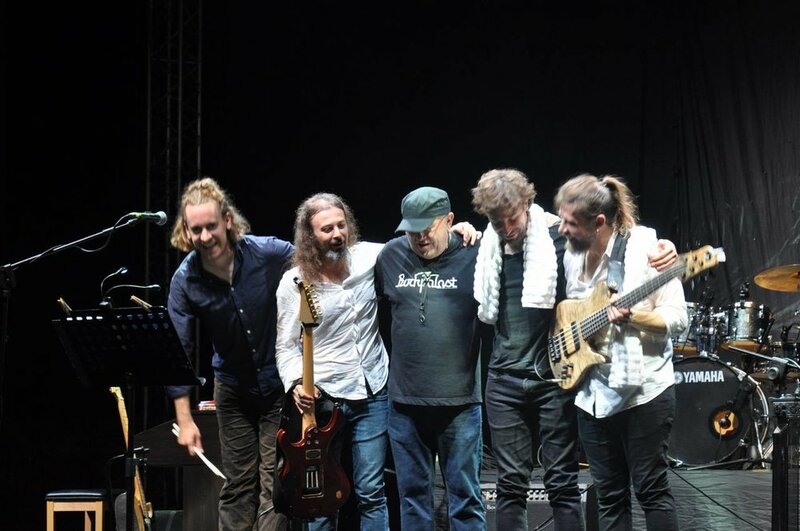 Oytun has performed and collaborated with a range of acclaimed artists including Dave Weckl, Eric Marienthal, Mike Miller, Dean Brown, Wycliffe Gordon, Rex Richardson, Bob Franceschini, Louie Palmer, Mitchel Forman, Brandon Fields and many others. 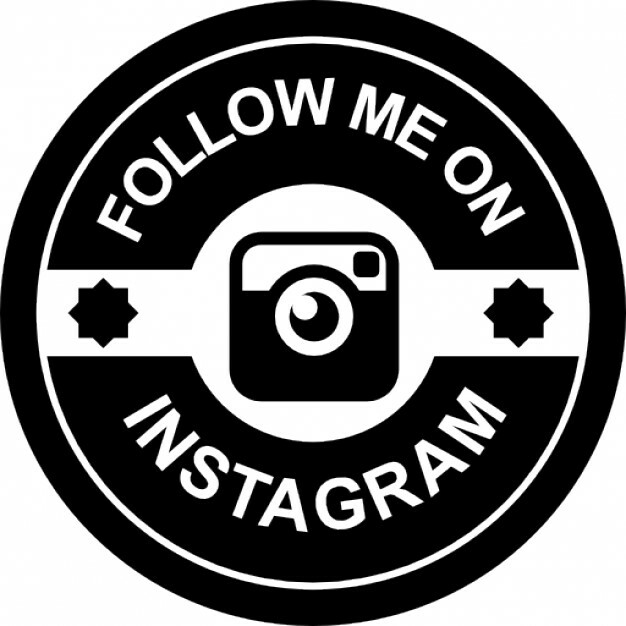 He has performed at prestigious events, jazz festivals and venues such as Leverkusener Jazztage, Aalener Jazz Festival, Ingolstadt Jazztage, the Baked Potato Jazz Club, the Bass Bash and Nublu Jazz Club. 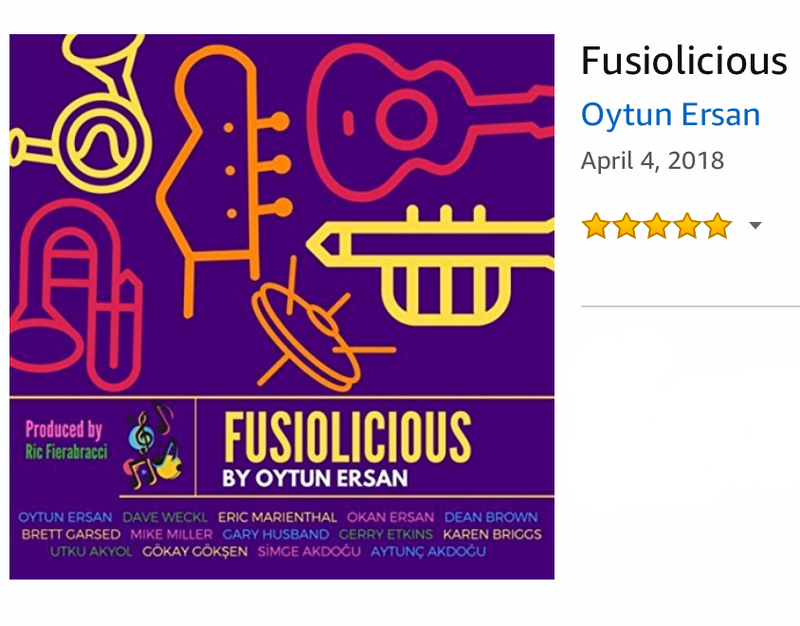 Oytun and his Jazz Fusion all-starts band released ‘‘Fusiolicious’’ in April 2018. 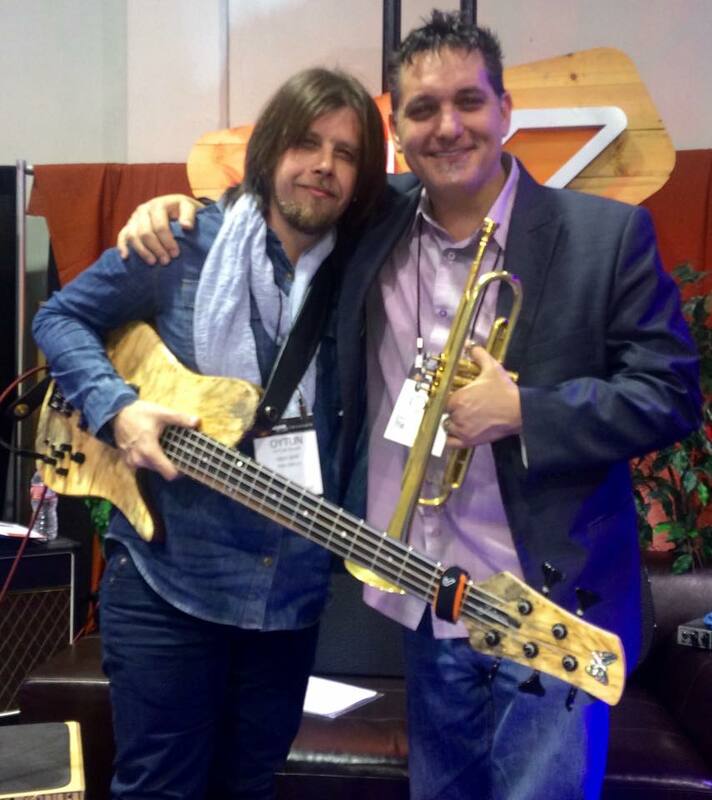 The album is produced by the great bassist Ric Fierabracci and features some of the most influential Jazz musicians of our century such as Dave Weckl, Eric Marienthal, Gary Husband, Gerry Etkins, Dean Brown, Brett Garsed, Okan Ersan, Mike Miller and Karen Briggs, just to name a few. Oytun currently resides with his family in Nicosia, North Cyprus and travels internationally for exhibitions, festival performances and gigs. I am very honoured to have been invited to perform at Bass Bash 2019 along with these incredible bass players! 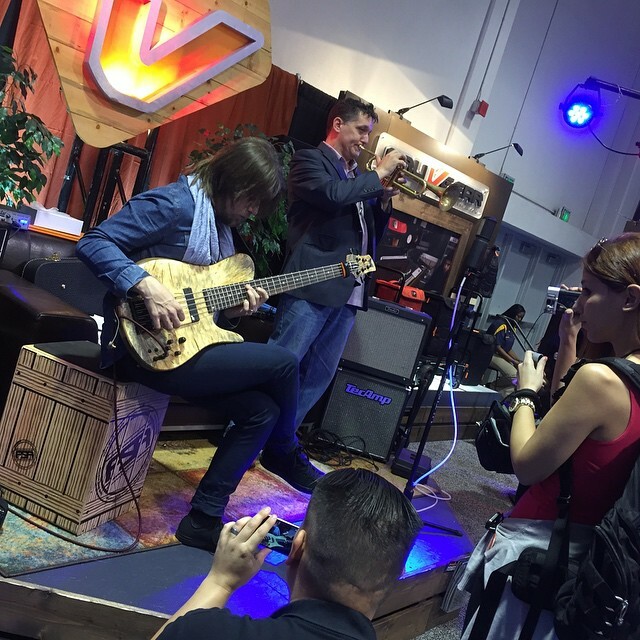 Bass Bash is a 2 night concert showcase held during the first 2 days of Winter NAMM, featuring 5 acts each of the world’s greatest bass players and their bands. The Bass Bash has been one of the best attended events during the NAMM convention, always having some of the best performers from the “low end” showcasing their latest music. Oytun Ersan All Stars Fusion Band will be performing at the world famous Baked Potato Jazz Club on February the 7th. 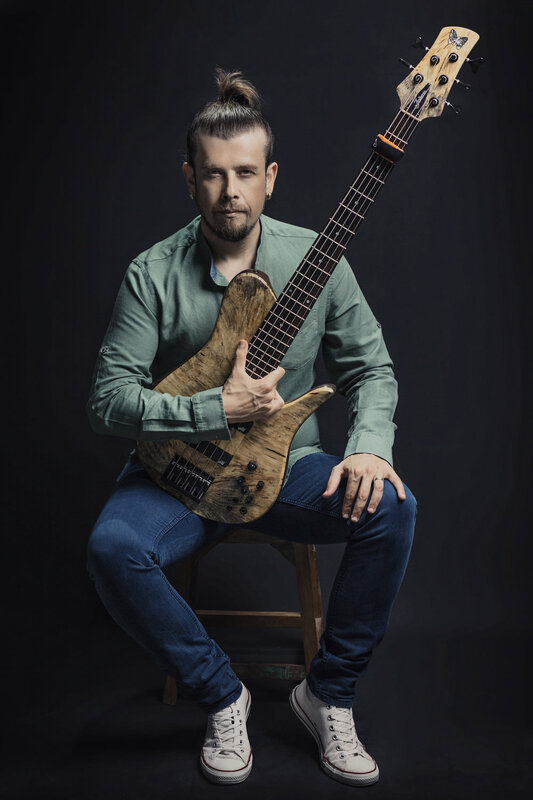 Oytun Ersan is now among the legendary Featured Artists of Fodera Guitars! 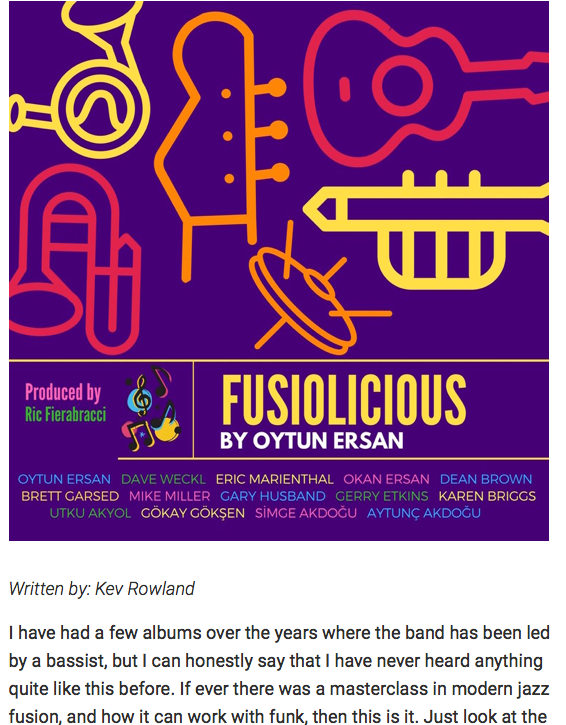 No Treble announces the release of Oytun Ersan's new album, 'Fusiolicious'. 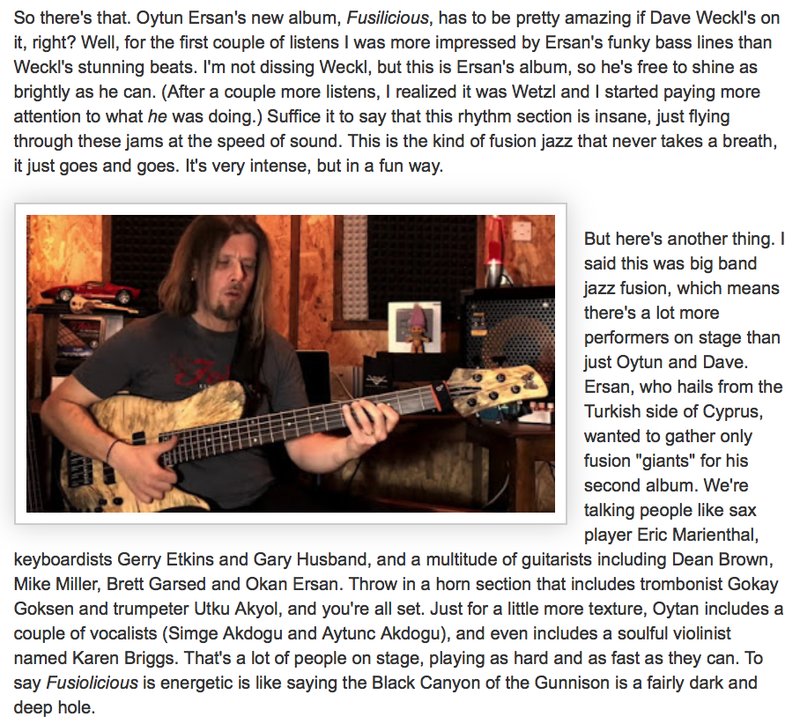 Bass Musician Magazine announces the release of Oytun Ersan's new album, 'Fusiolicious'. Broadway World announces Oytun Ersan's new album, 'Fusiolicious'. Many thanks to Jazziz Magazine for reviewing my album Fusiolicious on their FALL 2018 issue! Jazziz Editors have also featured ‘Mysterious Maze’, one of the tracks from my new album Fusiolicious on their Jazziz on Disc CD. 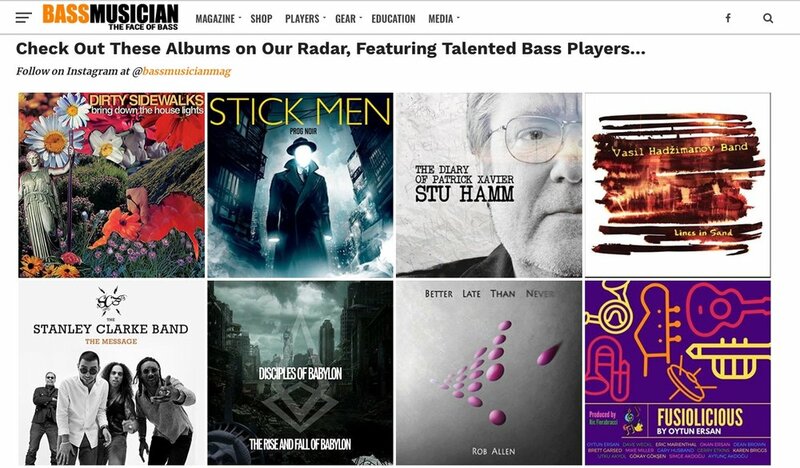 Bass Musician Magazine has announced the albums on their radar ‘‘featuring talented bass players’’. I am very honoured to see my latest record ‘‘Fusiolicious’’ listed here along with the albums of legendary bass players like Stenley Clarke and Stu Ham! Thank you Bass Musician Magazine! Please fill the form in the contact section.